Maybelline wants you to say bye-bye to your pores. 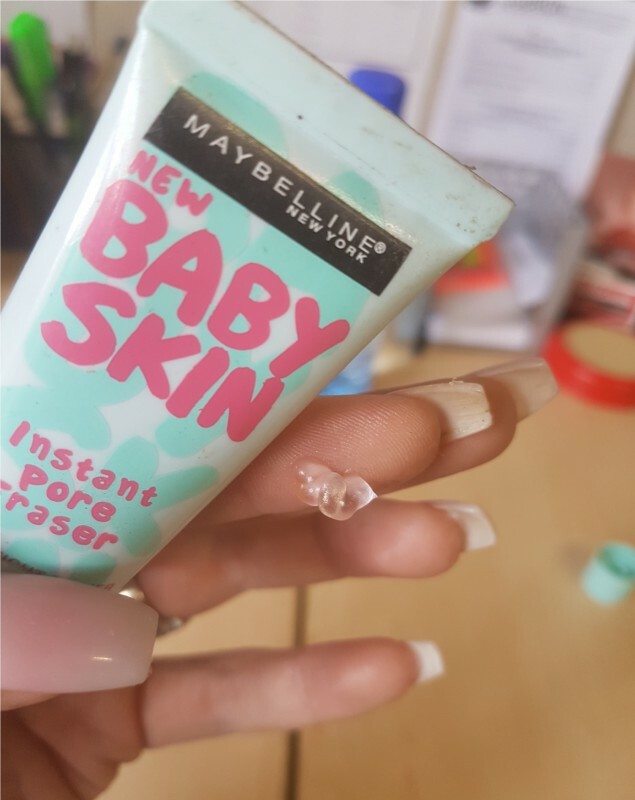 The Maybelline Baby Skin Instant Pore Eraser has instablur technology which visibly smoothes pores away. It is fragrance-free, non-comdegenic and can be worn alone or under makeup. This product has been amazing for my oily skin. It minimizes pores allowing for a smooth makeup application. Love it!! I have been using this product for three years now, I absolutely love this product, not only is it affordable but it does exactly what it says it does. I love it. My go-to. I feel like this primer is a more affordable version of the Benefit Porefessional and I really like how it feels on my skin. It's really light and works well with all the foundations I've paired it with. It does a decent job at hiding pores and smooths put your skin for the perfect base to apply the rest of your makeup. Baby skin describes the outcome of this product. Absolute love using this primer under my everyday make up look as well as when I am modeling, i use it with my moisturizer and I am ready to go! It removes shine more than it reduces the pores. I wish it worked for me since i have big pores. Love the texture. Definitely minimises pores, so when you apply your make up, it gives you that baby skin look! mwah love it! I have oily skin and this product really made my skin more oily as compared to when I apply my skin products before foundation. 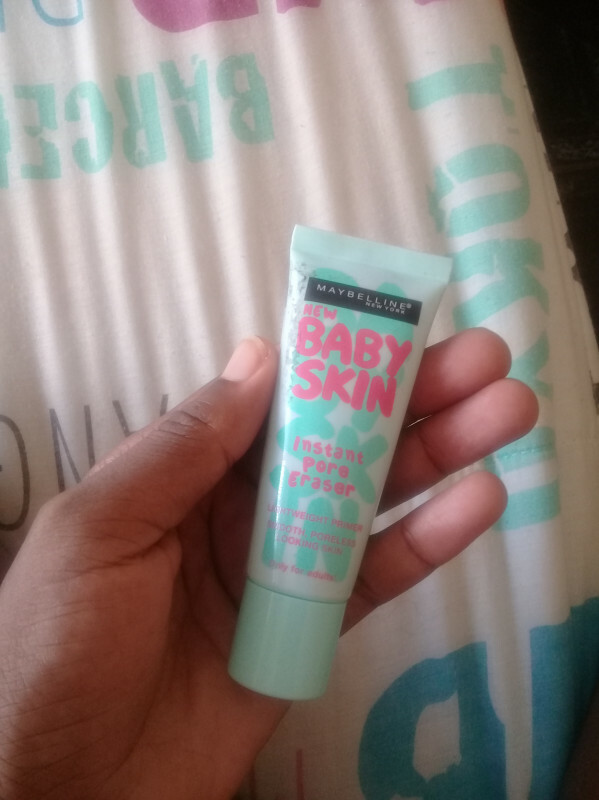 The texture is smooth, feels soft and smells nice too but i wouldn't recommend the product to anyone with oily skin because as the day goes by you become more shiny and oily. I have very oily skin and large pores. The product does nothing for my skin type. Does not minimize pores or provide me with an all day free shine. I've used it on friends with less oiler skin and it seems to wear better. My skin is very oily and I was promised that this product would help me with that. They lied. Yes it hides your pores but on me it didn't last very long and even seemed to make me seem even oilier (or it may have been my imagination). I would recommend to someone with less oilier skin though, I feel like it would work better on a different kind of skin type. I am thrilled that this product is finally being sold in SA!I first heard rave reviews about it on YouTube from most of the UK based make up gurus and couldn't wait to get my hands on it. I was delighted when I spotted it at Clicks a few months later and I have been using it ever since. I recommend this for any one with normal to oily skin. If your skin is dry it may make you look ashy but be sure to moisturize beforehand and you will be fine. I have started using this primer and I love it. The texture, the pore minimization, and softness. Perfect for everyday wear. I use this every day under my foundation, seriously the best thing since sliced white bread! This primer is perfect for every day use. It makes a noticeable difference, as I have rather large pores. Very affordable too. This product is great!! I use it under my eyes and along the sides of my mouth before I use concealer and it makes my skin feel truly like a baby's. You only need to use a small amount and the gel like feeling makes the products you use after glide on so easily! For the price, you have to try it! This is a product that really lives up to its promises. I have fairly large pores so this product really works amazing on my skin. I use it before applying my foundation and wow I’ve never seen such a flawless finish after putting on my foundation ! It’s ridiculous ! I’m completely obsessed with it. Also it’s very great with the Maybelline 24hr SuperStay Foundation, it could literally last all day (without shifting or anything) if you ask me and considering the foundation is really matte the pore eraser doesn’t make your skin feel dry or anything. The price point is also great and it’s the perfect size. Because i have an oily skin type i tend to have huge pores. with Maybelline baby skin i dont have to worry about it showing though my foundation! my foundation lasts so much longer now. it is easy to apply and is super smooth on the skin. So I thought I will come over here and tell you guys about this amazing product I just got from the drugstore. It's the MAYBELINE Baby's kin pore eraser. I use this after I apply my daily moisterizer just before I apply my foundation. This is a very good product the packaging is nice and small easy to take wherever you go. It applies easily and it really takes away all your pores your foundation applies so smoothly because this product is just so smooth. This is a must have guys really a real good base for your foundation and it very affordable you can get it from your nearest drugstore. I absolutely love this primer. When I got introduced to make up all those years ago this was a highly recommended primer and all those years later I still see why. It does the job of smoothing out my pores,helps my foundation last longer and offers a flawless makeup application. For the price and quality I definitely recommend this product!! I love how this product smoothes the skin and makes makeup glide on like a dream. I have been using it for a while , even as a primer too when my skin is very dry and love the smoothness of it on my face. I LOVE this primer so much! I've been using it for a little over 3 years now and I have zero complaints. The formula is super lightweight and silky, it leaves the skin baby soft AND applying makeup over it is just a breeze! After 3 years I have yet to find a better replacement. Unfortunately this primer didn't do anything for me. Didn't minimize my pores at all. Did leave skin smoother for foundation application. I had no adverse reactions to this product. My one and only primer I use and will continue to use. A small tube is pricey but a little goes a long way and could be use sparingly. Mine lasts for about 4 months and makes foundation so much easier to apply. I bought it based on the fact that it has no colour and no scent, because my skin freaks out with any crazy scented things. So I was really excited to give this primer a whirl, but it unfortunately didn't do so much for me. I have a very oily t-zone and dry-ish cheeks and under eyes, and this primer worked well for under my eyes. It prevented cakeyness but on my cheeks/nose/forehead it caused my makeup to split. So after about 2 hours of wear, I looked like a disco ball. I think this primer works well for extremely dry skin (my sister has really dry skin and she swears by this primer). It really softens the kin, and blurs your pores to some extent - but be warned, if you are an oily lady, your makeup might slip off! 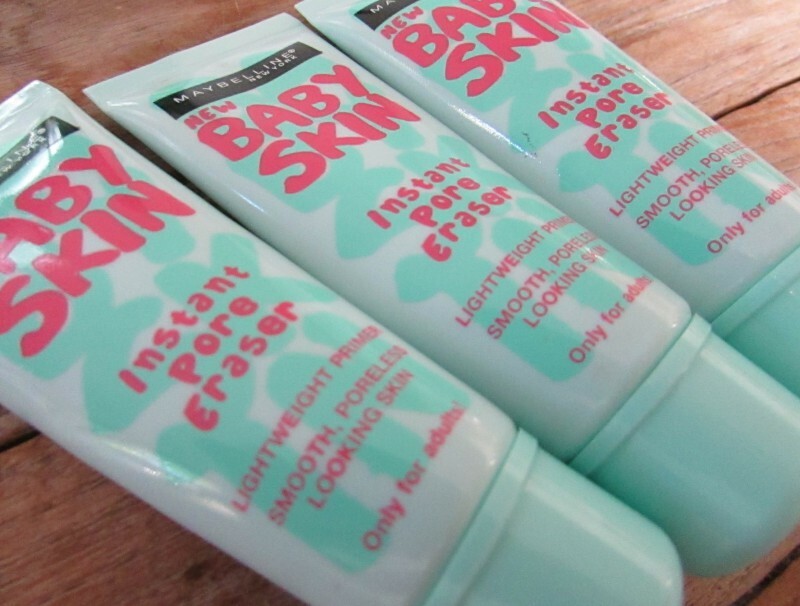 I was so amped to get the babyskin primer because everyone was raving about it but it was a total let down for me. It made my skin more oilier than me not wearing any primer . when applying my make up it looked very smooth but after a hour my face was so oily. Plus point that it made my pores smaller and made my skin very soft. Soooo, as much as we as females always "want to need things", lets face it, there's a few beauty products we actually DO NEED to complete our daily routines. If you're a believer in everyday makeup or not you'll love this must-have. 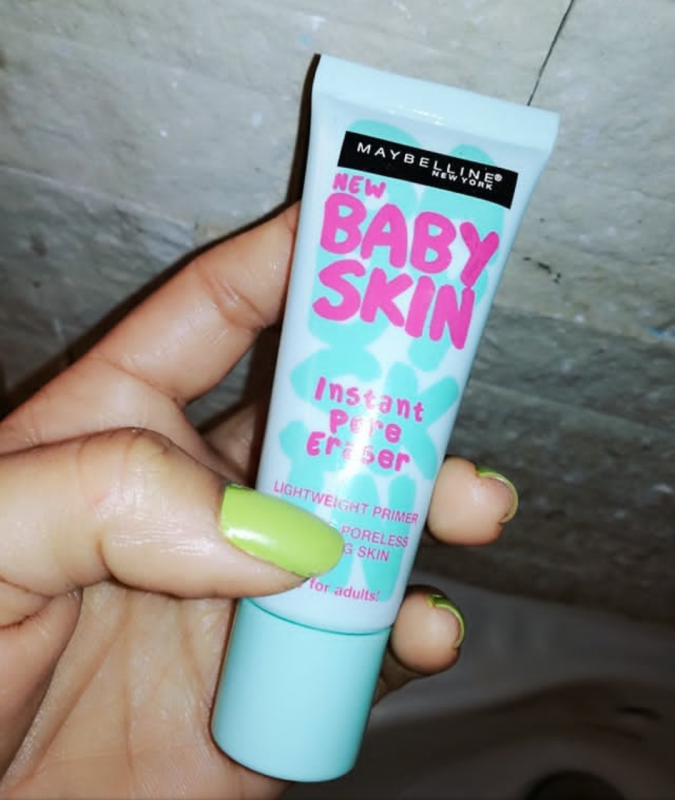 I am absolutely IN LOVE with my NEW BABY SKIN - instant pore eraser by Maybelline New York. If anything, this baby has been the best thing that has ever happened to my face (HAHA). This product is just absolutely AMAZING! My face literally feels as soft as a baby's bottom minus the oily look (bonus!). I cannot imagine my life without it! This product is honestly the BEST Drug Store Primer I have ever used! It makes my skin feels so smooth and refreshed! As well as allow my foundation to sit smoothly and flawlessly on my face. I purchase these monthly, you will NEVER not find one in my make-up bag!! 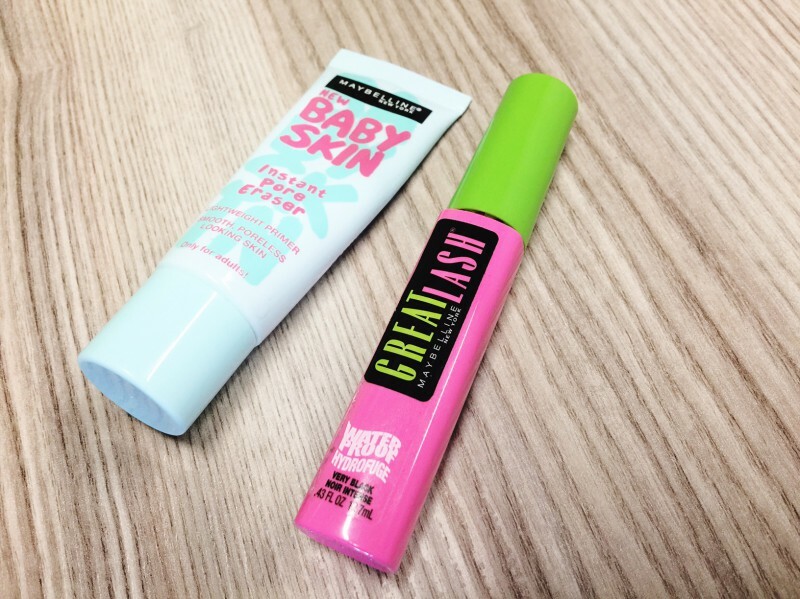 My biggest makeup guilty pleasure is primers. I absolutely love applying primers to my face and seeing it work its magic. Maybelline Baby Skin Instant Pore Eraser is a wonderful product to add to your makeup bags ladies! Although my pores did not vanish like with most people, my skin felt super soft and my foundation applied like a dream. I would definitely say this is the perfect primer for everyday use, maybe not for a long night of partying as my foundation only stays okay for about 5 hours when wearing this. It's one of my faves for during the day. Thanks Maybelline! I've finally jumped on the bandwagon and decided to try a pore eraser/primer to see what all the fuss was about. I'll be honest and say it was the first primer I found, not knowing exactly what too look for but I gave it a try. 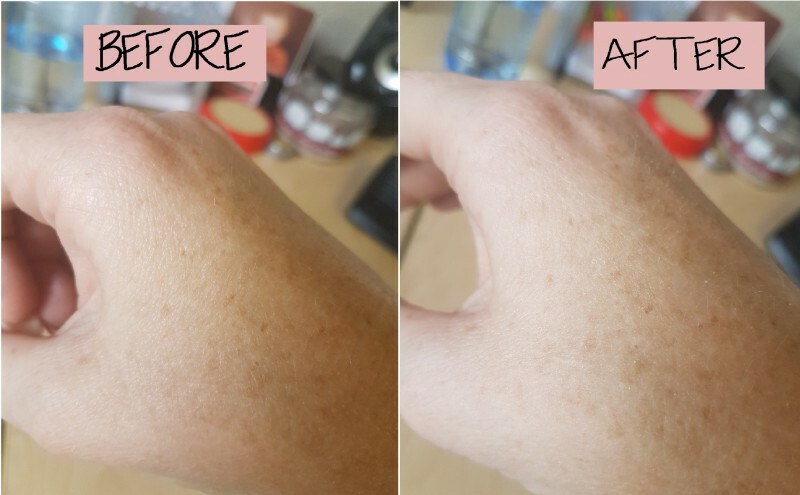 Using it as a base coast as well as pore eraser made may make-up last longer and gave me that silky smooth, airbrush finish, my skin felt soft and gave it that healthy look. 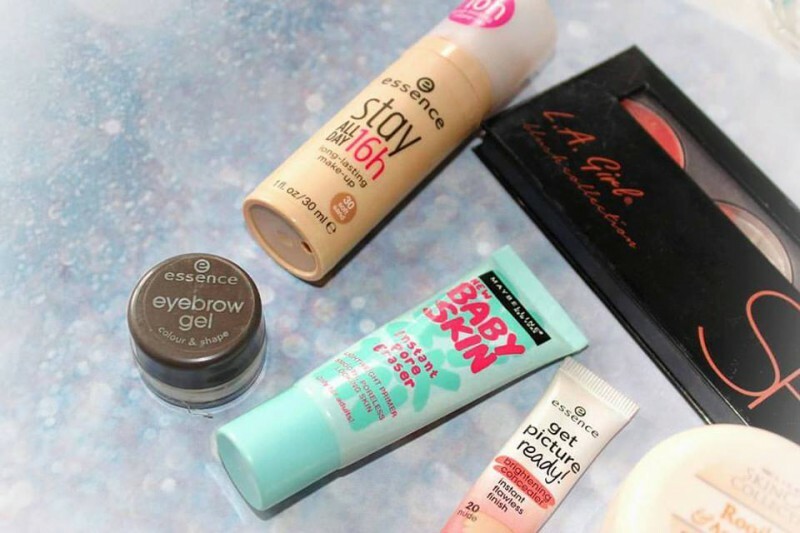 It was also my go-to during the beach season when I didn't want to wear too much foundation as I was spending most of my time having a good time and not worrying about my skin. I will recommend this pore eraser/primer as i have tried as tested others and they haven't met the mark. Anybody who wears make-up will tell you that the secret to great looking make-up is based on the state of your ''base''. This lightweight pore remover works wonders and can be used alone or before you apply your foundation/bb cream. It smells great and makes your skin appear refined, smooth and pore-less. This is a definite must-buy and it is affordable at the same time. It has a velvety texture and absorbs into your skin with ease. A little definitely goes a long way with this primer. I have dry skin so using the Baby Skin helps my makeup glide on a lot smoother. With it, my foundation and concealer is less likely to cling to dry patches on my face. I notice that it does increase the longevity of my makeup. I recently came back from a trip to India where I was using the primer everyday. It kept my makeup on lock-down, my face looked as fresh at the end of the day as it did when I applied my makeup in the morning! I love the packaging, it's so cute. 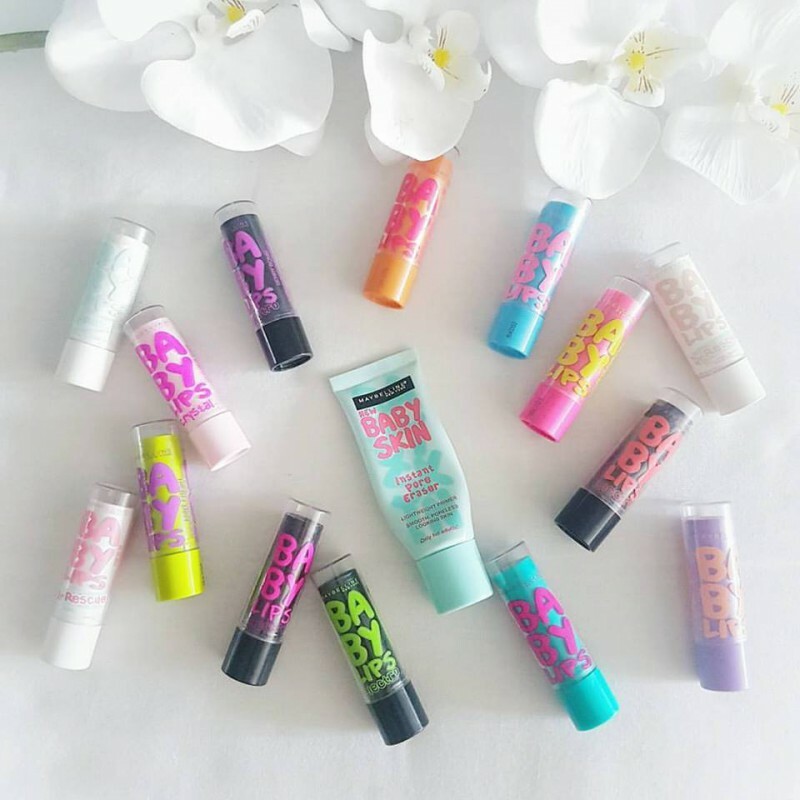 Easy to pop in your makeup bag on the go! A word of caution: if you have oily skin and are prone to acne, this may not be the primer for your. It adds an extra layer of slickness which you could probably do without.